Yanagihara’s novel breaks with the decorum of much of contemporary American fiction, laying claim instead to the scope and grandeur that often characterize the greatest queer art. This book elicits strong reactions; however you feel about it, it will be a landmark in your reading life. A wonderful and long book about love and friendship that spans three decades, a lot of it in New York City. And I love the cover too! Because I read it on my days off when I was shooting The Zookeeper’s Wife and I want to read it again. Because it is deeply and profoundly human, and managed to devastate and uplift me at the same time. I'm still mourning the end of this book and my time with these beautifully written characters. This book pulls you in and holds you close and you will find yourself lost in its pages and searching the streets for these characters you've been rooting for. 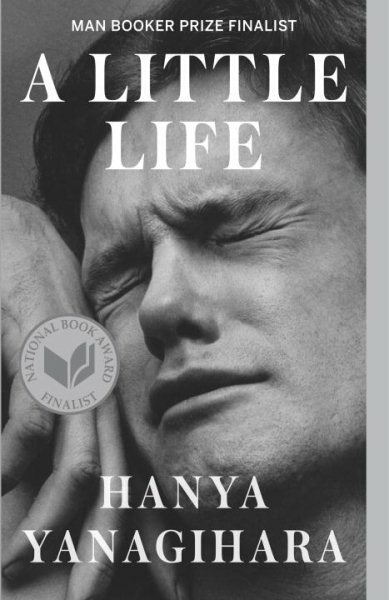 I don't mind emotional excess and in addition to being so very readable, with really interesting, complex, at times infuriating characters, “A Little Life” is full of emotional excess. I so admire how Yanagihara allows the melodrama into this story, and does so unabashedly. This book is unforgettable and heart wrenching and all I could ever want in a reading experience.